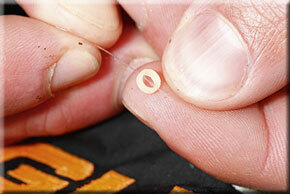 The pellet waggler is one of the best ways to put together a huge haul of commercial carp during the warmer months. It's basically a floatfishing tactic that relies on heavy feeding to bring carp into your swim and feeding just under the surface where they compete for the loosefeed. 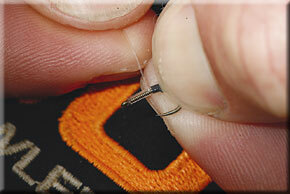 The best bait for this style of fishing is and will always be sinking pellets of between 4mm and 10mm, depending upon the distance that they need feeding. 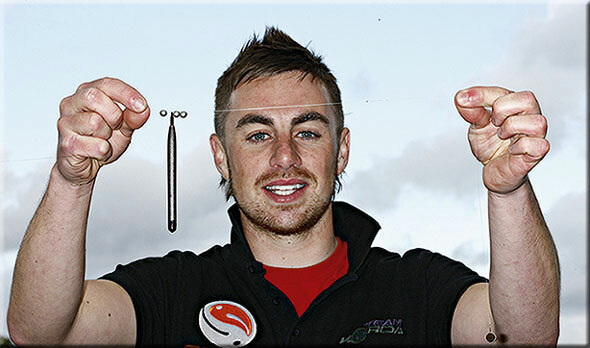 And although the rig - detailed below - is very very simple to create, it's the feeding that will make or break a session fishing the pellet waggler. 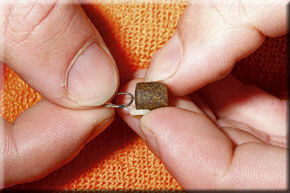 The key is to feed little and often, any by this we mean feed around 6-10 pellets every minute. This will create lots of tapping noises on the surface which will help attract the carp, but it will also create a constant stream of bait falling through the water. 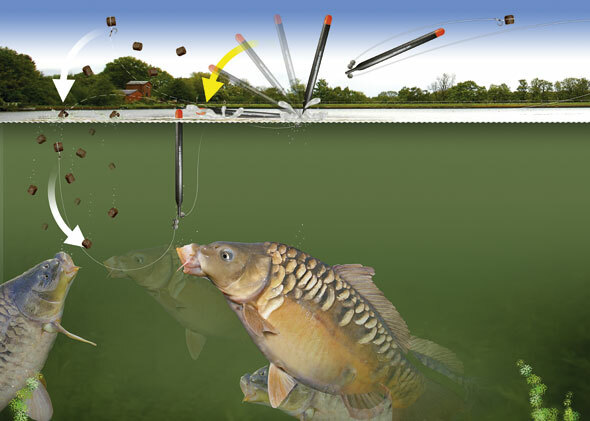 Once the carp find this falling bait they will start to intercept it and eventually rswim up higher in the water to get at the pellets before all the other carp. Evenutally they will rise so high in the water that you will see swirls on the surface as soon as a new batch of pellets hits the surface. And that's the time to cast out you float and let your pellet hookbait fall right on the nose of the carp underneath! 7. 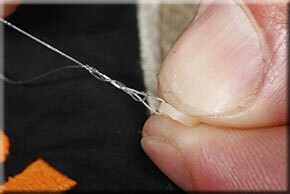 Tie a four-turn grinner knot to attach the band to the end of the hooklink. Snip off the tag end of line. 17. Still pinching the band against the bait stretch it beyond the pellet and pull it over it. The bait is now circled by the band. 19. 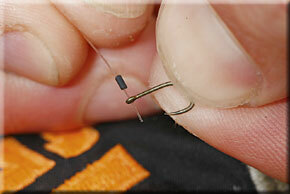 The final rig is best used in water at least five feet deep with the float set to fish the top couple of feet. 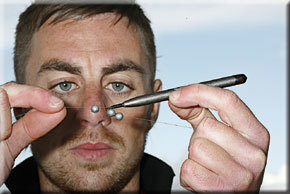 Shorten or increase depth on the day.